- If you want to compare The Hunger Games and Battle Royale (a very similar Japanese book/film from 2000) I'm planning to do a comparison post in the near future. I am going to be comparing the films, but be aware that they both started as books. Many books are made into movies or inspire movies. Some films seem a bit like books even if they were never on the printed page. When writing a story it's good to follow a general rule, if you have characters doing a lot of thinking/narrating and discussing ideas you have a book, if you have a lot of actions and less internalizing you may have a screenplay. 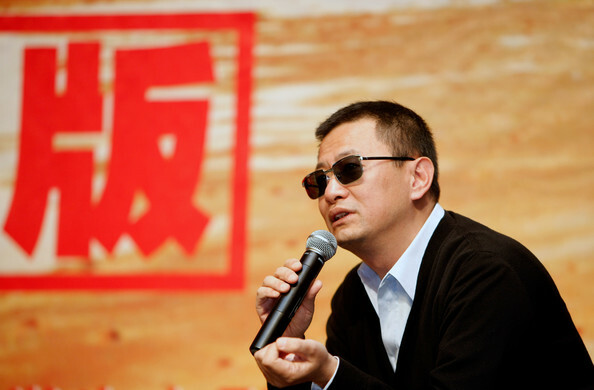 Usually in film people go by the old saying, show, don't tell, and generally speaking a lot of narration or voice over is frowned upon, but Wong Kar Wai (one of my favorite directors) has used narration to share thoughts and ideas from his characters the way you would normally expect from a book, and yet he makes it work on film. He has even stated that in his career he has been more inspired/influenced by books than other films/filmmakers. You can clearly see the influence of books on Wong Kar Wai's films. Most books involve narration and lots of thoughts and ideas usually going on inside the character's heads. 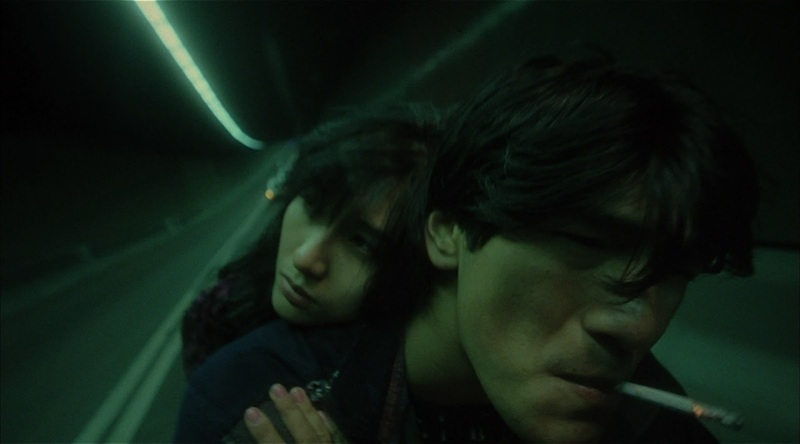 Watching a film by Wong Kar Wai is a bit like reading a book, but instead of trying to come up with the images yourself, we get his beautiful cinematography. He is able to develop characters and talk about their thoughts and ideas similar to the way a good novel would. In Fallen Angels Takeshi Kinshiro plays a character who is mute, and yet we get to know the character and what he thinks about his world through voice over even though the character himself had no lines of actual dialogue throughout the film. I have often wondered what a novel written by Wong Kar Wai would be like, but then again his films are similar enough. Instead of stopping to explain the look of the locations and characters, he can show us on film and that allows him to concentrate on establishing his characters. He is like a novel writer who has a story, but instead of publishing it as a novel, he is allowed to take it and turn it directly into a film and release it in that form instead. He has the enviable position of being able to put the images he has in his head to the story he has written, something very few writers get the chance to do themselves. Check out his films Chungking Express, Fallen Angels, In the Mood for Love, 2046, Ashes of Time, Happy Together. Being a Wallflower, and was also given the opportunity to direct the film. After recently watching The Perks of Being a Wallflower I decided to read the book and I enjoyed it... It got me thinking of other books about young people in school and coming off age stories that were books before they were movies. The Catcher In The Rye is a very popular book amongst people who are growing up and it may have influenced Perks of Being A Wallflower. 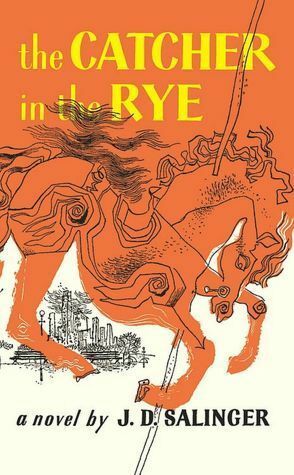 The Catcher In The Rye is worth reading even though it's hasn't been made into a film. "Salinger is very influential," as stated by Oliver Tate from the 2010 film Submarine. The Catcher In The Rye was mentioned in both Submarine and Perks of Being a Wallflower, and it served as an influence for Wes Anderson's 1998 film Rushmore. 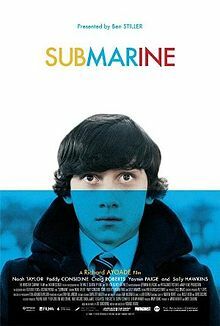 Submarine - a book similar to Perks of being a Wallflower in that parts of it is written as a diary/letters by the main character, although this is a much more humorous take on the coming of age story. But both do a good job of telling a story that young people can connect with, because they know what it's like to be young and dealing with parents and relationships in high school. The film version is brilliant and is available on Netflix. Norwegian wood - also available on Netflix, this 2010 film is based on the book of the same name by Japanese writer Haruki Murakami shows us the coming of age story of a couple of Japanese kids in the1960's. Leave suggestions for other books turned into films.